Jeri Sager is a powerhouse of an entertainer. Her voice is Golden...her stories hilarious. My sold out audiences LOVE her. My students were on cloud nine and so grateful for the time spent with Jeri. This is Jeri’s high energy and vocally exceptional celebration of Broadway. It’s the songs, the roles, and the stories she’s collected during her spectacular career as a Broadway Actress. Jeri will sing your absolute favorites from shows she’s starred in, such as CATS, EVITA, and LES MISERABLES; as well as some new songs to discover and love. You’ll laugh, you’ll cry; you’ll feel like you were there, or remember you were! It’s her tribute to the career she loves and all the passion it inspires. It’s a blast! Jeri is putting the BROAD back in Broadway and she’s not ashamed to admit it! 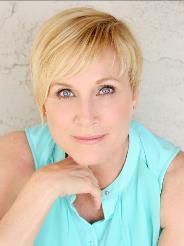 Jeri Sager is a veteran of Broadway and numerous National Tours. 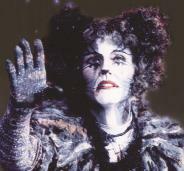 She starred as Grizabella in CATS, and appeared as Fantine in Les Miserables. Her Broadway debut was as Frumah-Sara in the 25th Anniversary production of Fiddler on the Roof, starring Topol. Her other credits include Evita, Pippin, City of Angels, The Mystery of Edwin Drood and Pump Boys and Dinettes. Jeri has sung in Japan, Europe, the Caribbean, the West Indies, Mexico, Canada, and every town in the United States ever represented on Jeopardy! She has sung the National Anthem on July 4th for the Baltimore Orioles, performed with Bob Hope for the USO, and made her debut at the Grand Ole Opry. She has worked with directors Jerome Robbins, Trevor Nunn, and songwriter/playwright Rupert Holmes. Jeri has performed with Michael Crawford (Phantom of the Opera), Bill Anderson, Jean Shepherd, and Senator Fred Thompson. She also spent an afternoon alone with Paul Newman, she happened to be waiting tables in a very “not busy” restaurant at the time, but he couldn’t have been nicer! Jeri currently performs concerts all over the United States, and any exotic locale you’d like to send her. She recently finished a 4 year run as the Co-Host of the cable TV show, RV Today on OLN (Outdoor Life Network), and played the mother in Martina McBride’s music video CONCRETE ANGEL. Jeri has released three CDs, Swing It Like Sammy, Regards .. .Jeri, and Memory - A Special Live Performance. Her emotion and energy are amazing. She doesn’t just engage the audience, she playfully embraces them with her warmth, humor and charm...one of the most brilliant and talented performers to ever grace our stage. 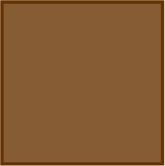 The following will allow you to see 14 YouTube videos and recordings by Jeri.